Slice of Pi Quilts: It's a menagerie! My sister-in-law LOVES everything Rifle Paper Co. She oohs and ahhs over everything I make using the Rifle Paper Co./Cotton+Steel fabric. 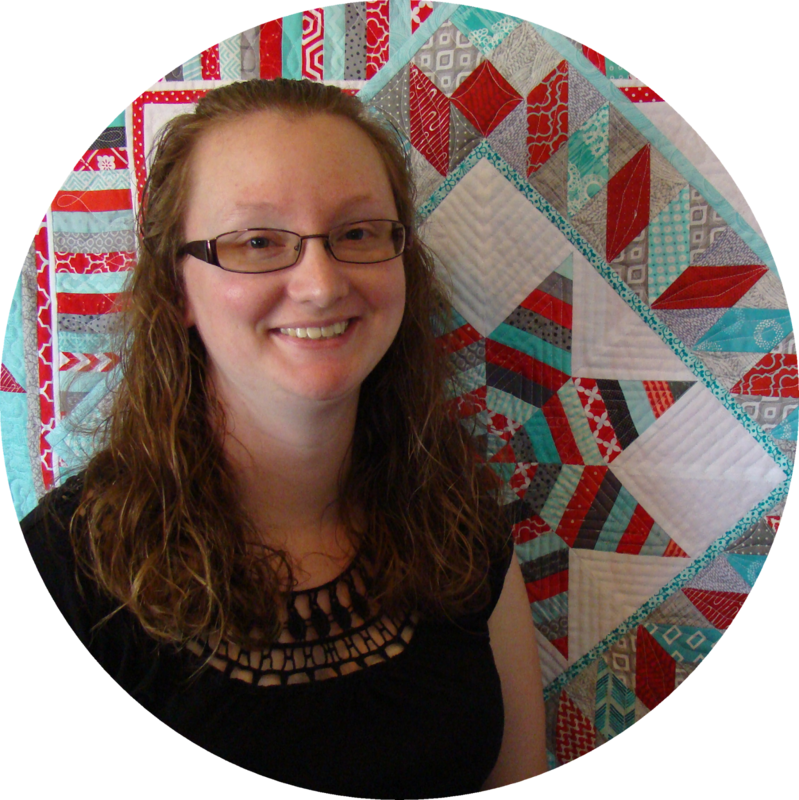 So I knew once I had made my Moonrise quilt (It finally has a name! I'll be able to show it off soon! 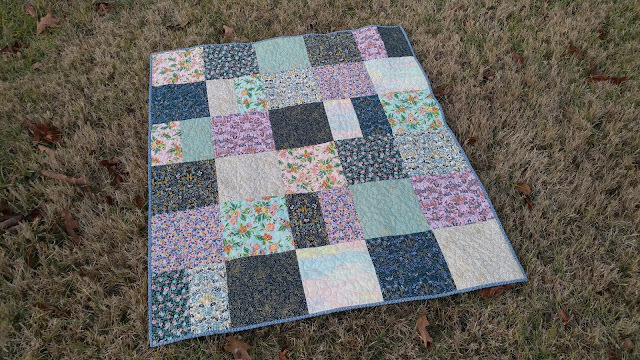 ), I would use the leftovers to make a quilt for her. 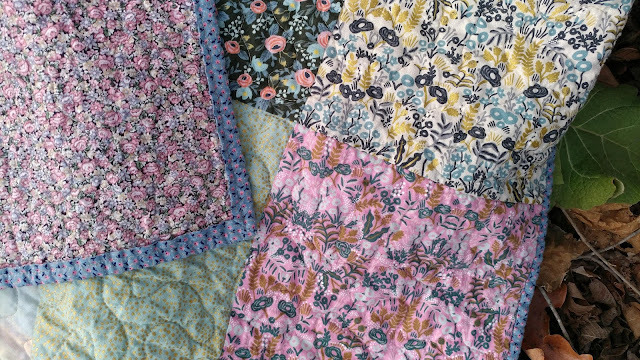 From the scraps, I was able to cut two 8 1/2" squares from each fabric. A few of the prints had just enough to cut two additional 4 1/2" pieces. I didn't have any of the green basic fabric that I used in the Moonrise quilt, so I decided just to sew the print squares together. After putting all the squares up on my design wall (and using two 4 1/2" pieces to make a few of the blocks), it just looked ugly. The Menagerie fabrics looked, well, like a menagerie! I know they're "supposed" to go together, but they just felt eclectic and mismatched. Without any background fabric, there wasn't a place for the eye to rest. I decided to remove the animal prints and only use the florals - this helped! 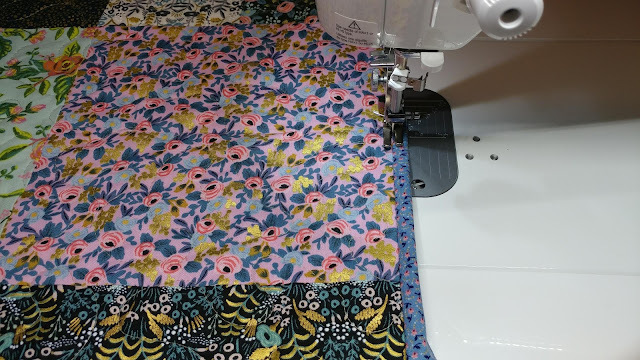 Just using the florals (and the "neutral" prints) meant the quilt would be smaller than I had planned. The quilt top measures 40"x48". 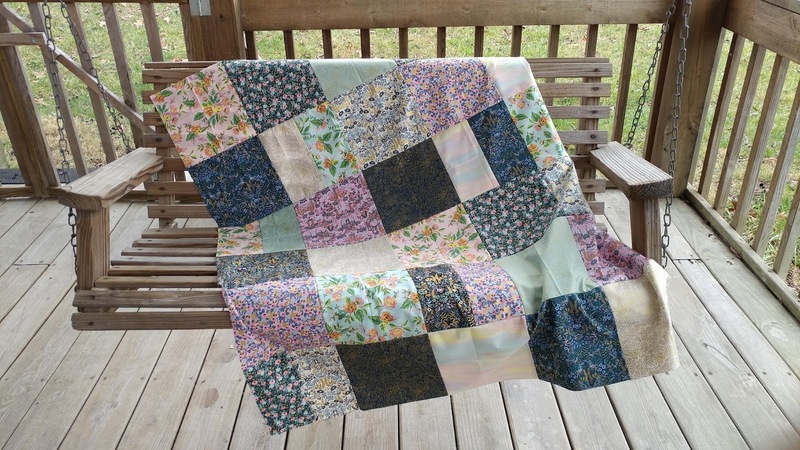 Still a great lap quilt for snuggling under to watch TV! I dug through my stash for a backing fabric and found a fabulous vintage floral print! And I do mean vintage! I'm guessing it's from the 60s, but it may be 70s. 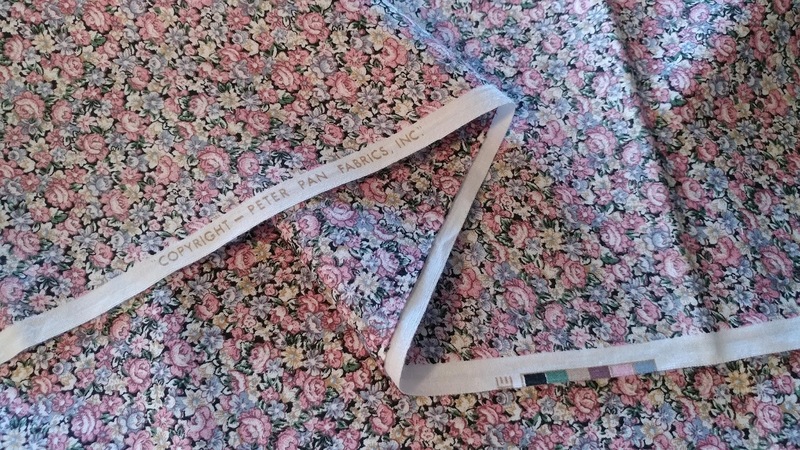 I pin basted the quilt on the dining room table with 80/20 batting from The Warm Co. I decided to do a small to medium sized stipple/meander all over the quilt using 50wt Aurifil in Stone #2324. 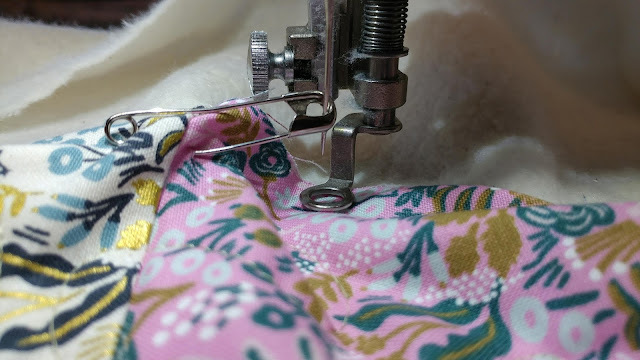 The thread blended in really well with many of the fabrics, making it difficult to see where I had already quilted! I don't have a good excuse for this though! It's not my first time doing this either! 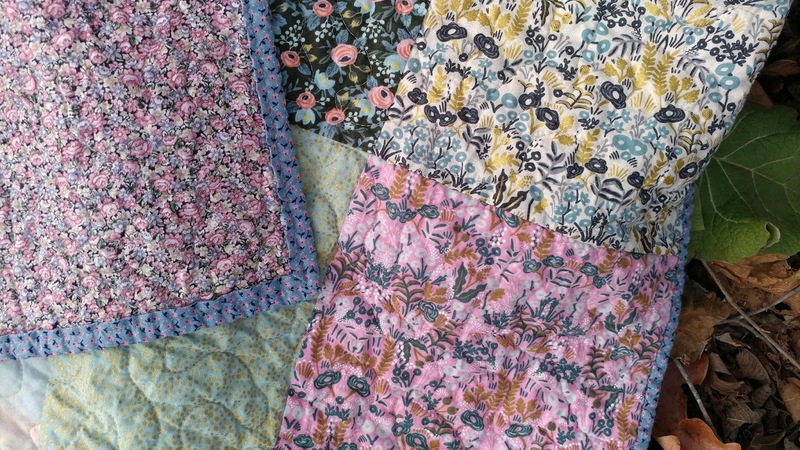 For binding, I again went to my vintage fabric stash and found a soft blue floral. I'm guessing it's from the same era as the backing fabric - around the 60s. It's great to be able to give the new life to these old fabrics! 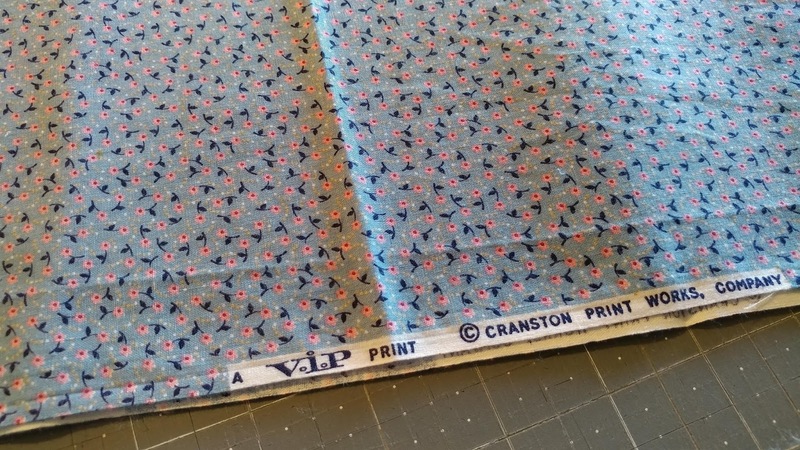 I cut 2 1/4" strips and machine stitched the binding. Once finished, I threw it in the wash with a few Color Catchers. The vintage fabric makes me a bit more nervous than new fabrics. Thankfully, it washed just fine! I dried it in the dryer, and it came out perfectly crinkled. The quilt has a feminine vintage vibe. I still think the quilt is a bit ugly. But the ugliest quilts get used the most since you're not afraid to ruin them! I sure hope my sister-in-law uses it whether she thinks it's ugly or not. 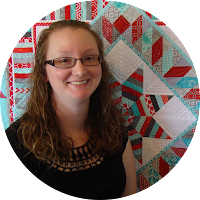 Did you gift any quilts for Christmas? This is my 49th quilt for the year! I still have a few more I want to make before the end of the year too! 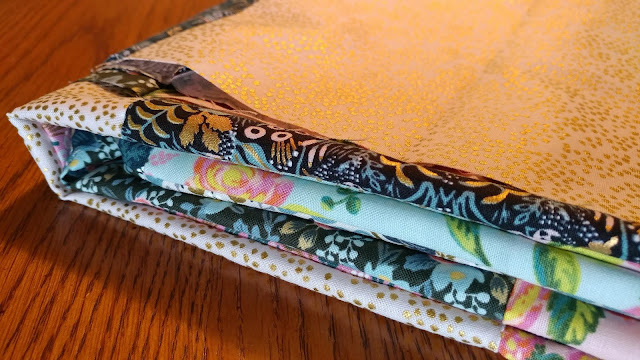 Linking up with Linky Tuesday at Freemotion by the River, Let's Bee Social at Sew Fresh Quilts, Wednesday Wait Loss at The Inquiring Quilter, and Midweek Makers at Quilt Fabrication. 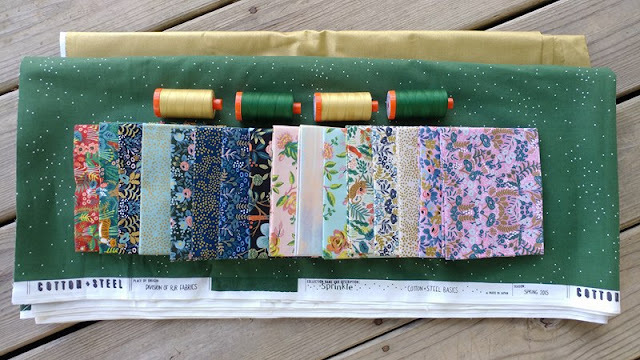 I bet this quilt will get a LOT of use and love (and yeah, the Rifle Paper Co. prints aren't my thing either, but I'm guessing your SIL is going to be thrilled!). Merry Christmas! It is tough making a quilt in fabrics that are not to your own taste, but I think you have done well and make a quilt that will be enjoyed. I agree! But each person's taste is different! I hope your DIL loves it! 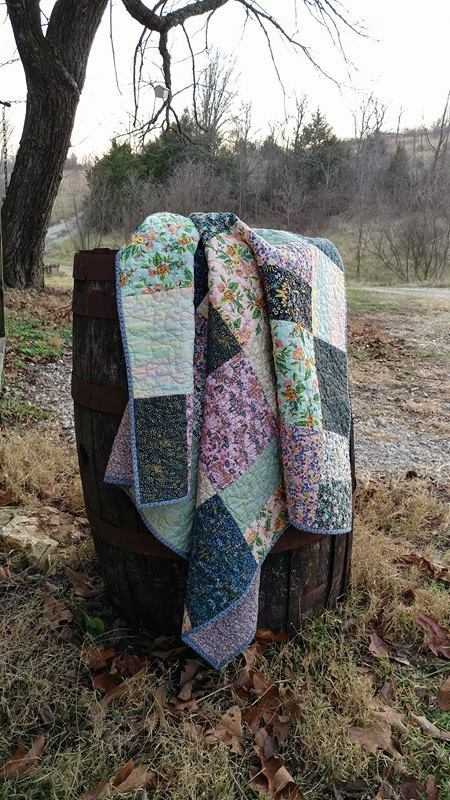 Your photographs make this quilt look very soft, feminine and pretty. I'm sure your SIL will love it. 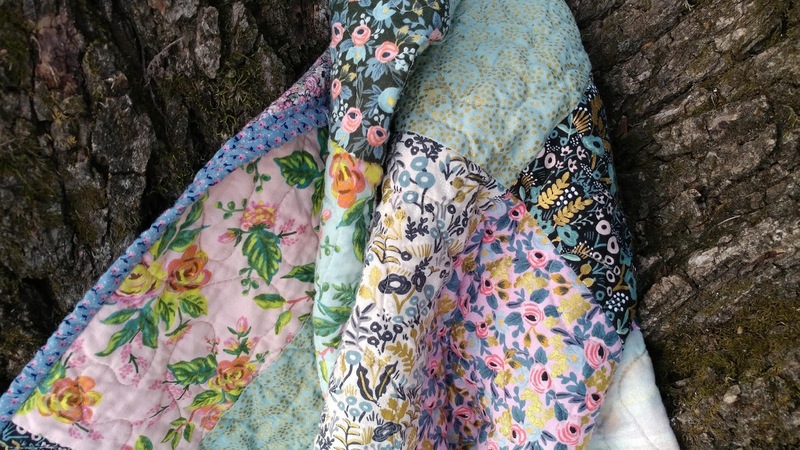 Forty-nine quilts and counting is amazing. I made a Dr. Who quilt for my son for Christmas. I bought that fabric 2 years ago--nothing like a deadline to get a quilt finished. I am beginning to think your time zone has more hours on the clock than mine. You sure do nice work, even if you don't especially like the fabric. The extra pieces worked well with it. Now, how did you get vintage pieces in your stash that are older than you? I bet she loved the quilt! 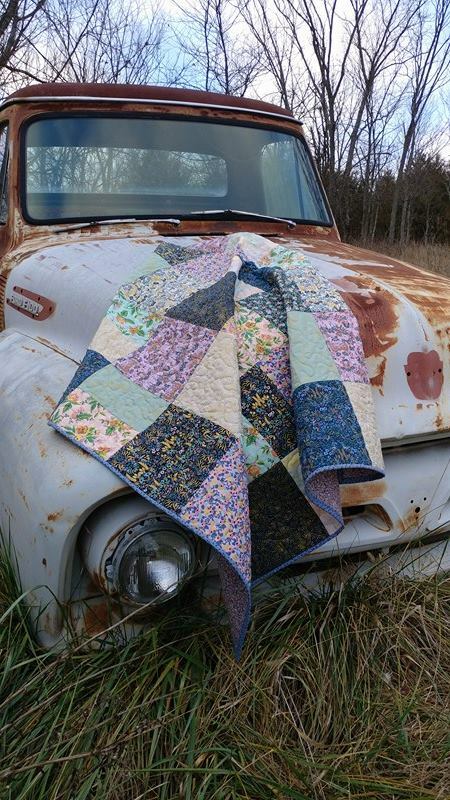 Everyone has different colors they love, I really like the vintage look of your quilt on the old truck! It's so hard to work with fabrics you don't love, but along the way with the choices you've made you've turned your Cinderella into a princess! Congratulations on another great finish! Thanks for sharing this on Wednesday Wait Loss! I agree - this quilt is not so pretty. However, it is a perfect match to the truck!